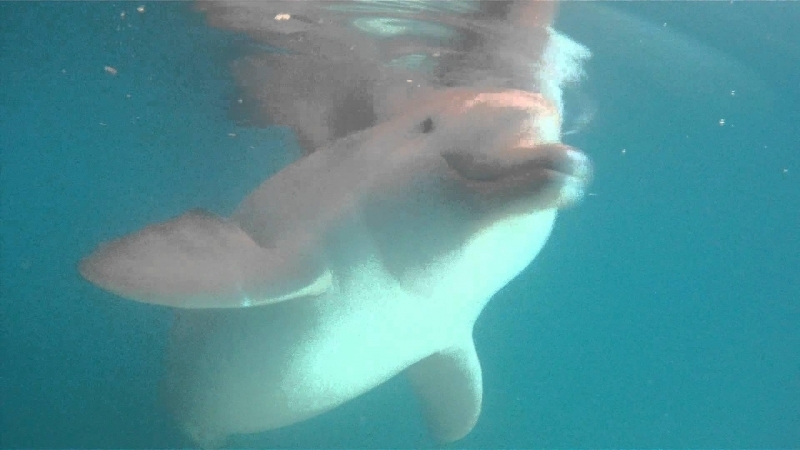 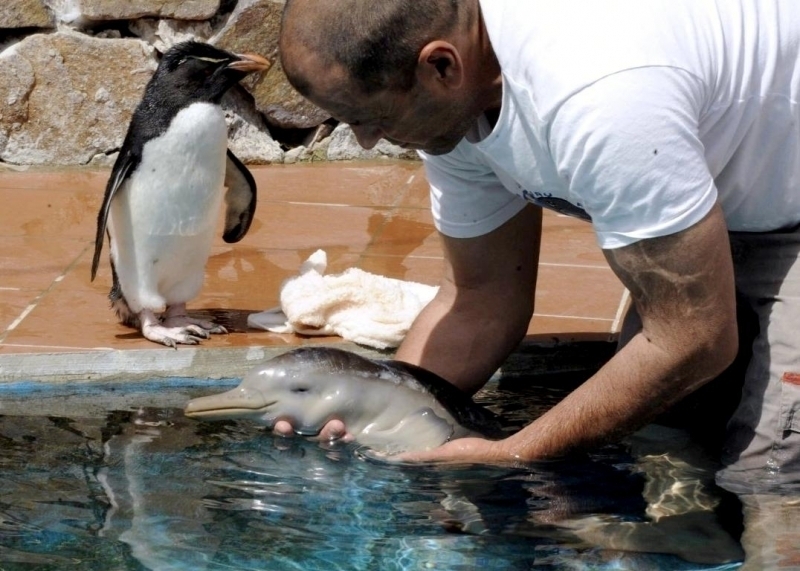 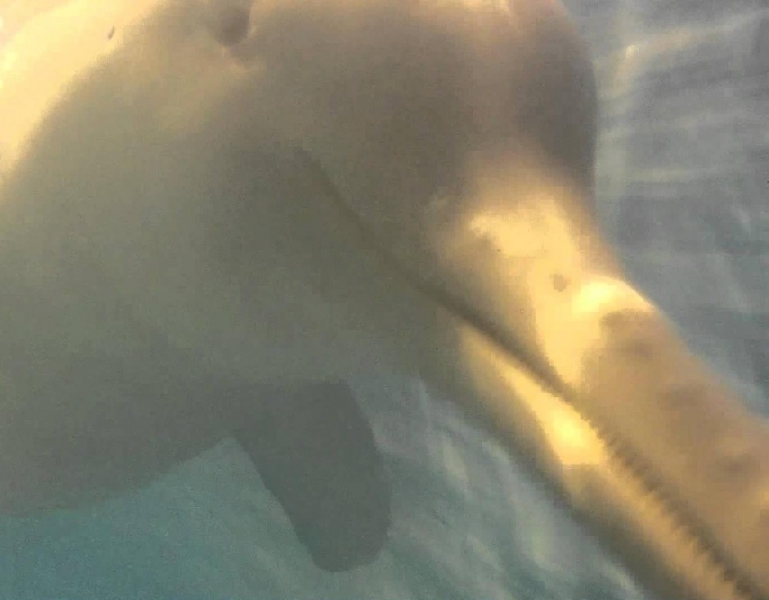 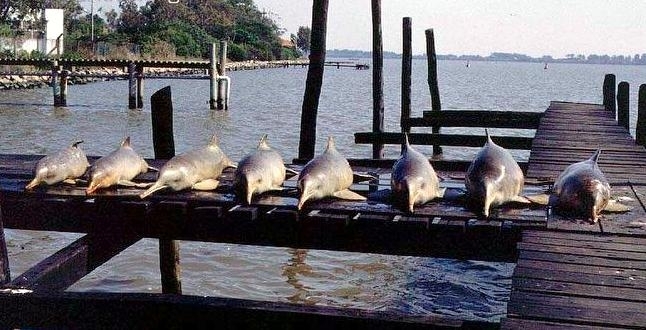 The La Plata Dolphin are also known as the Franciscana Dolphin, are a small cetacean measuring about 1.8 meters and weighing 36-50 kilograms. 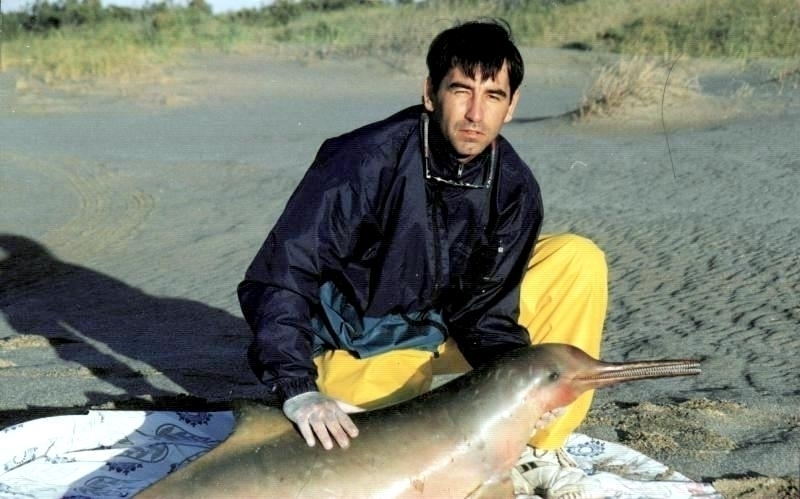 The La Plata Dolphin is well known because of where it chooses to build it’s habitat. 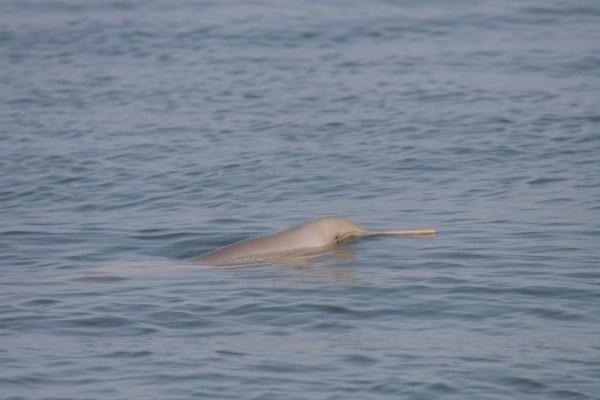 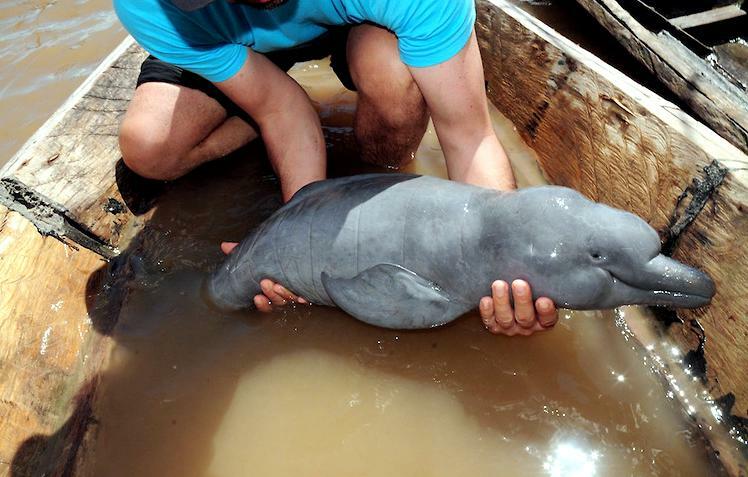 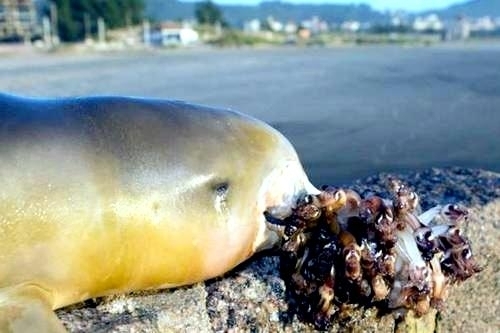 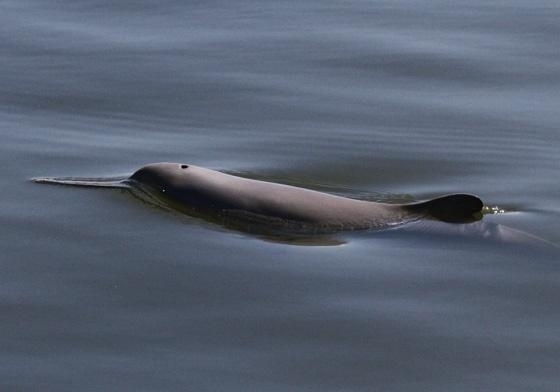 It ranges through the La Plata River, which moves through Brazil & Argentina and unlike other freshwater dolphins, they have adapted to multiple types of water living. 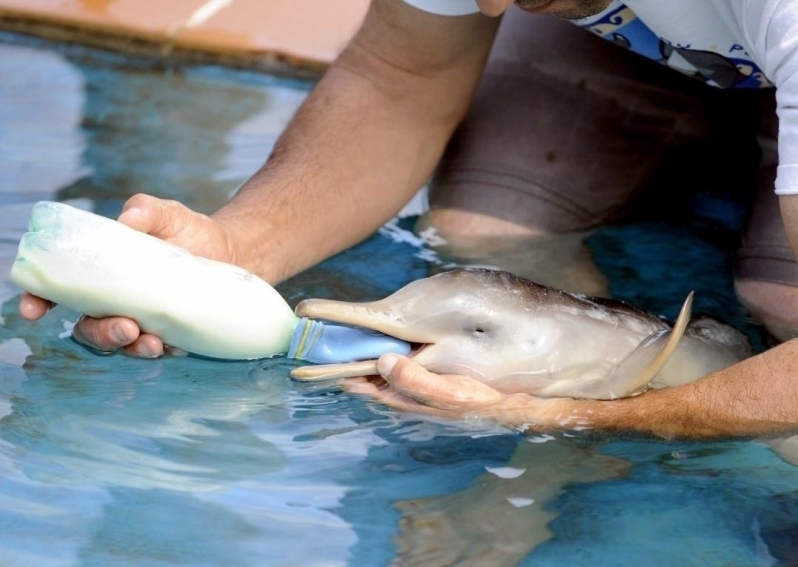 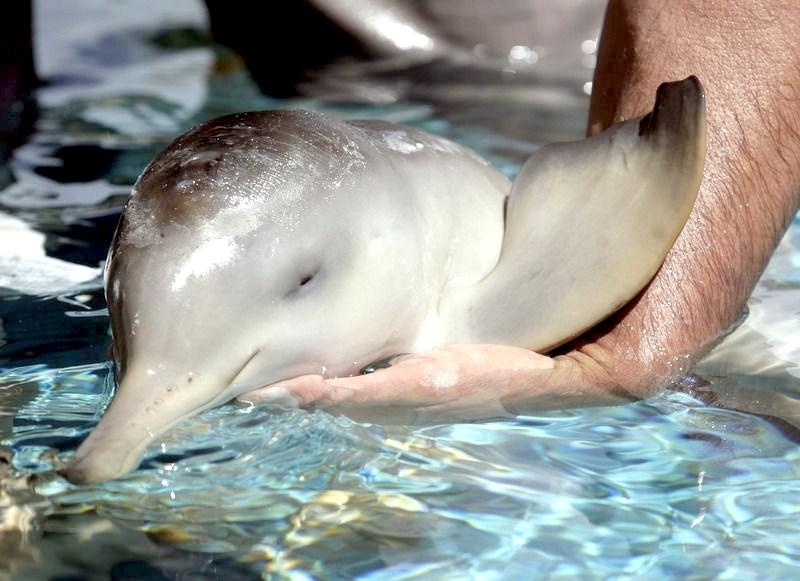 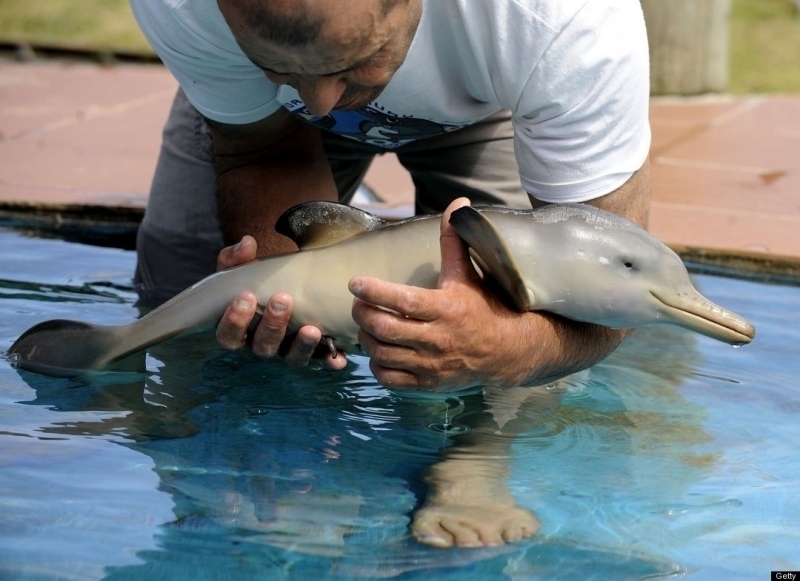 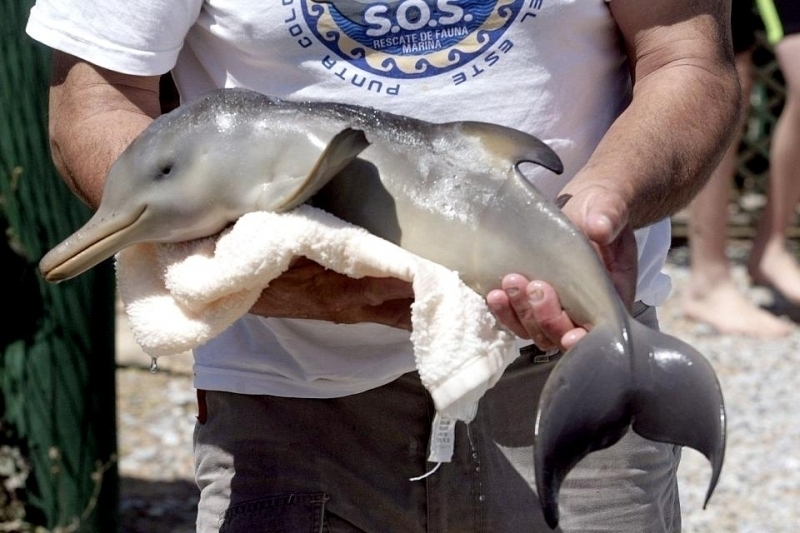 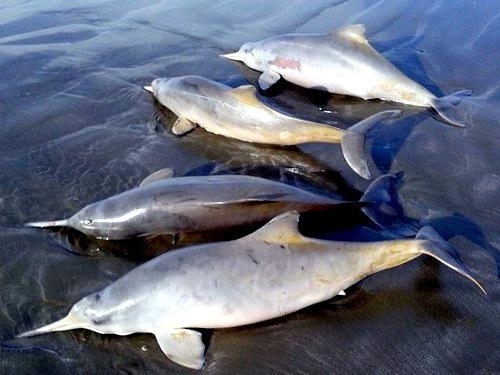 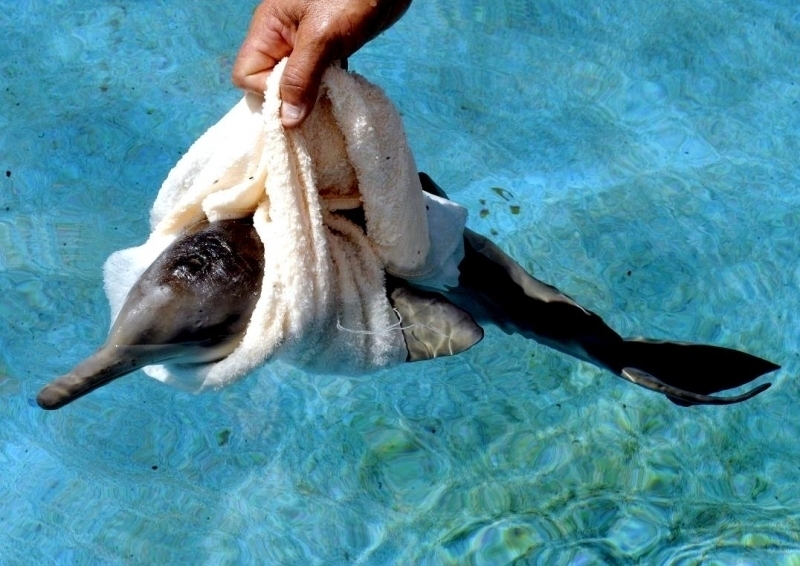 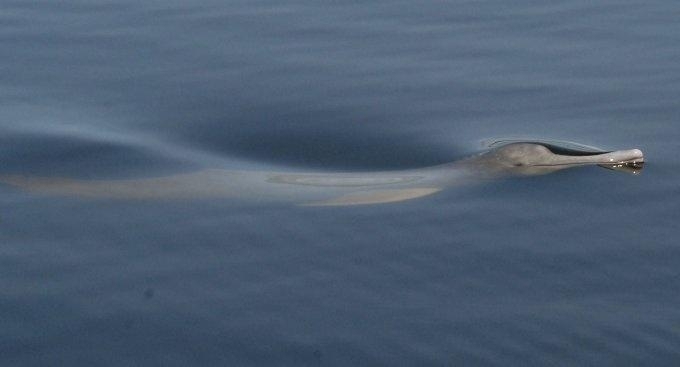 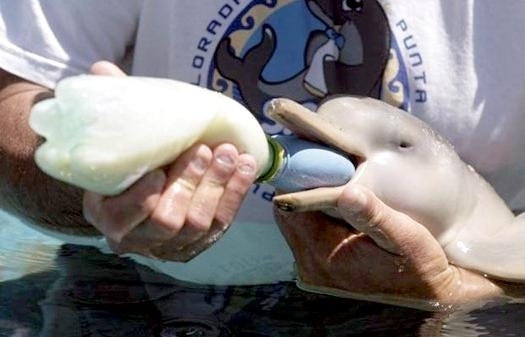 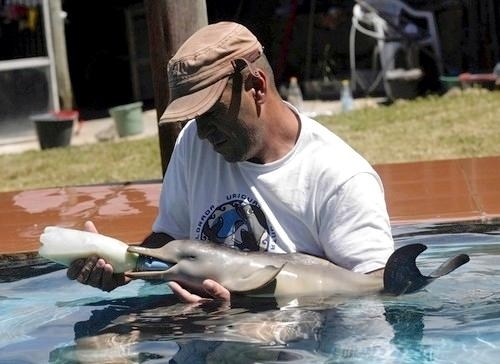 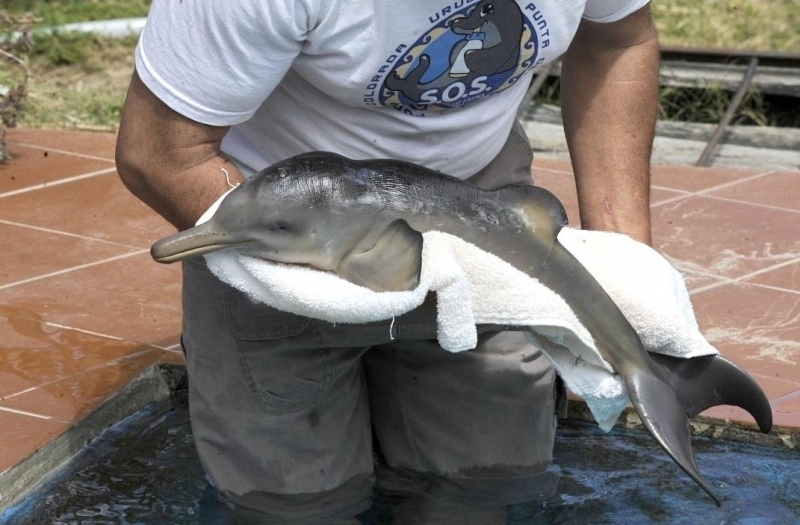 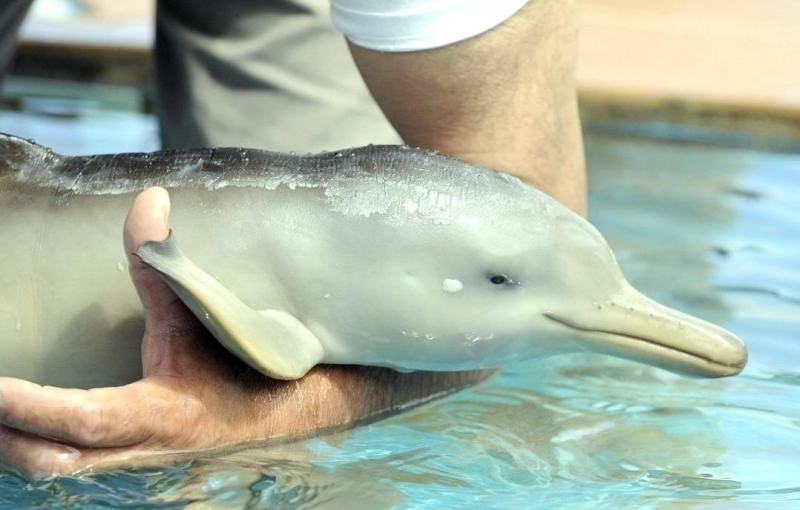 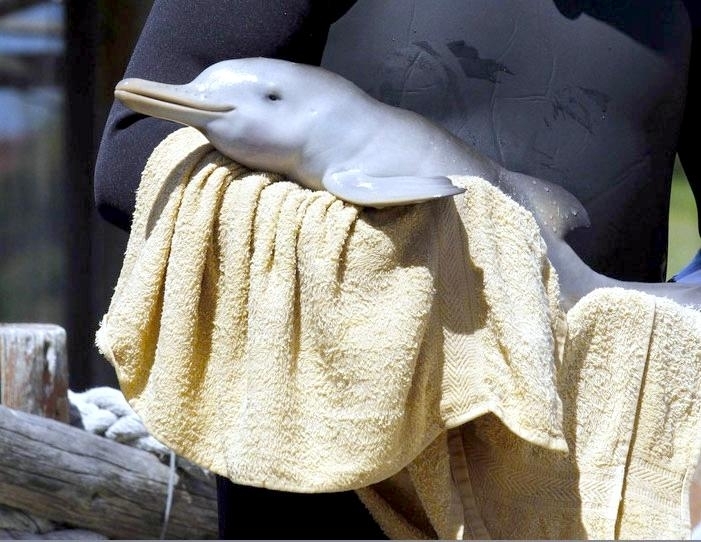 The La Plata Dolphin can move back & forth from saltwater to freshwater. 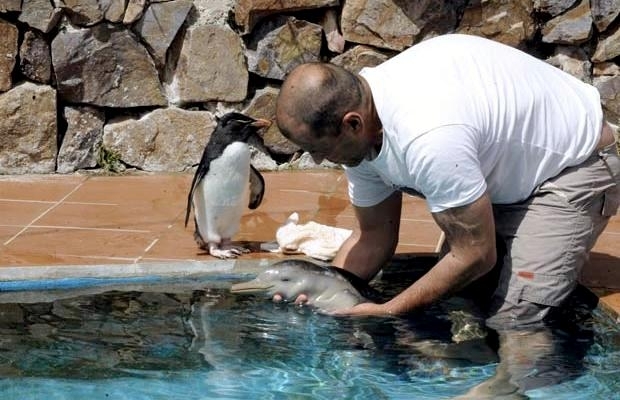 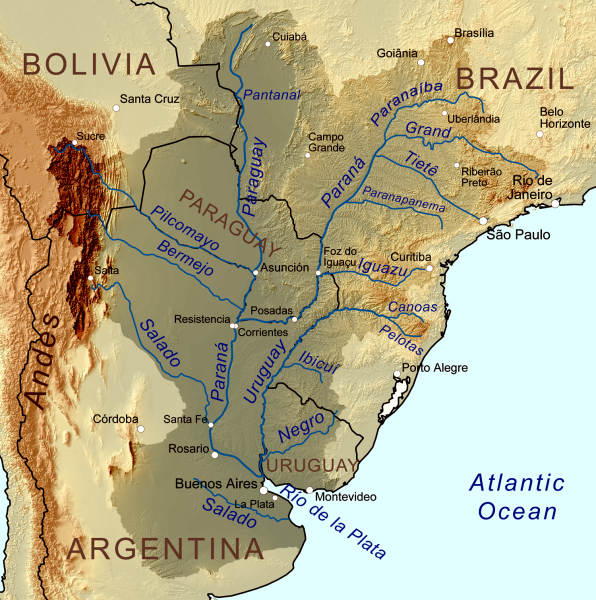 They have adapted to this because of the location of the La Plata River being near the Atlantic Ocean. 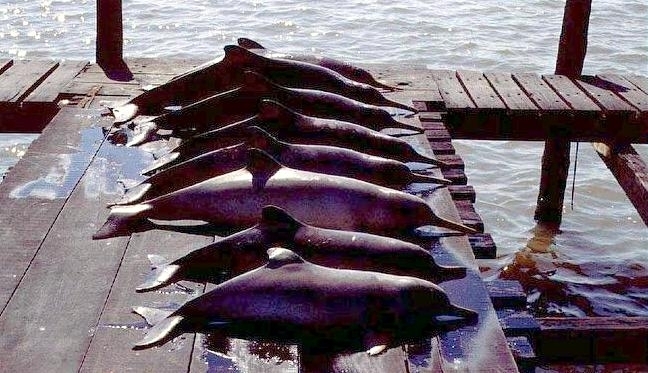 They have a stocky, rounded body that narrows to a wide neck with unfused vertebrae that allow this species neck mobility. 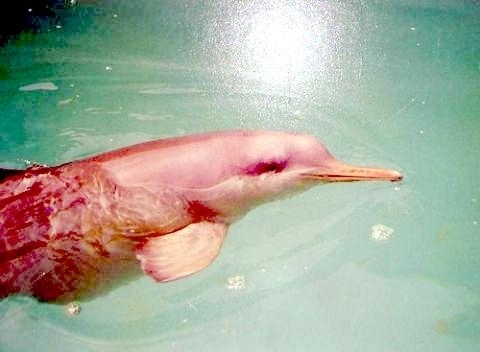 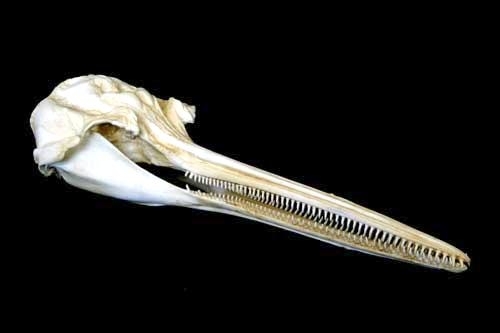 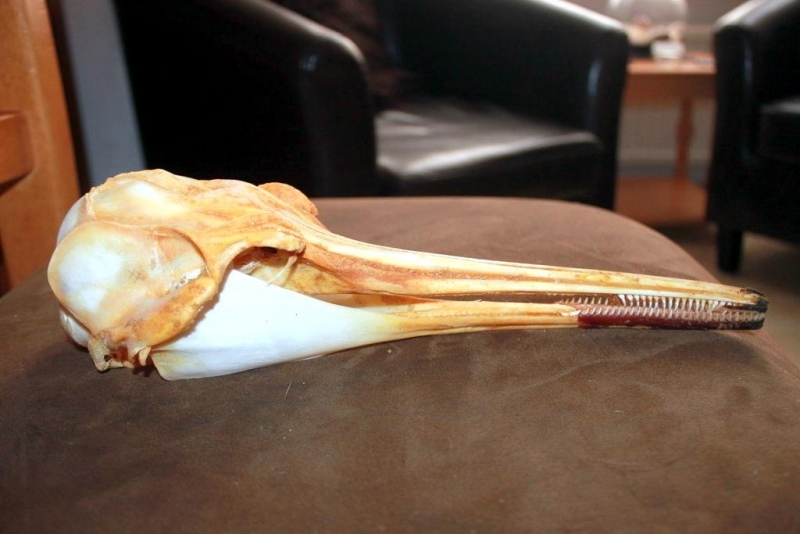 The La Plata Dolphin was first described by Paul Gervais and Alcide d’Orbigny in 1844. 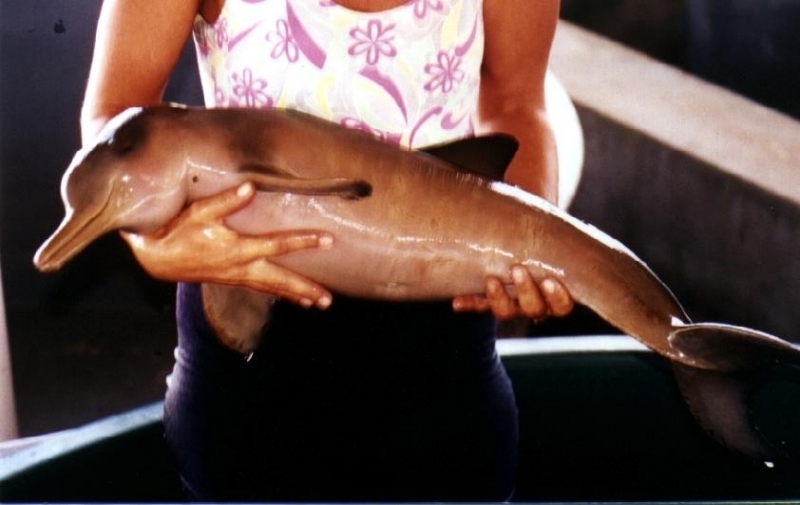 They are gray-brown in color on the dorsal side and lighter brown on the ventral side. 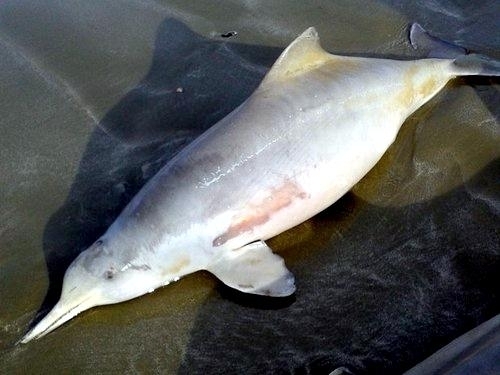 They grow lighter as they age, so light that they have been called “white ghosts” by fishermen. 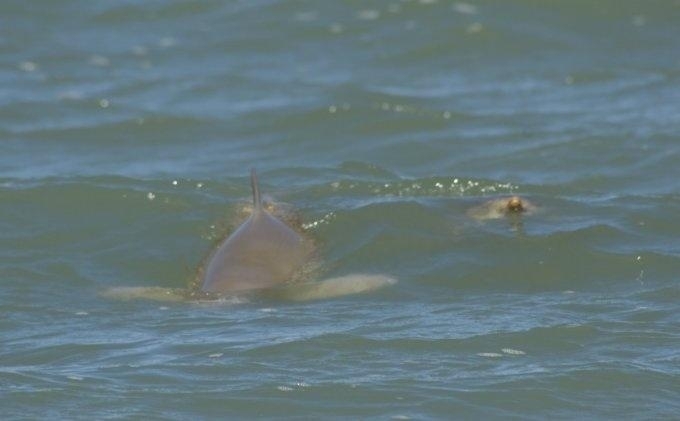 La Plata Dolphins have a distinct dorsal fin & broad flippers that are rounded at the tips with small flukes are curved and notched. 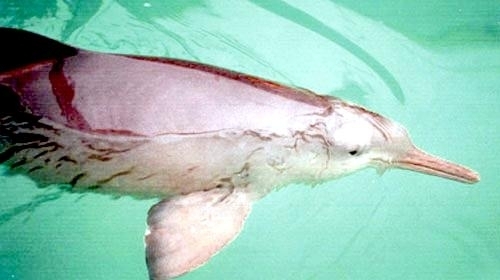 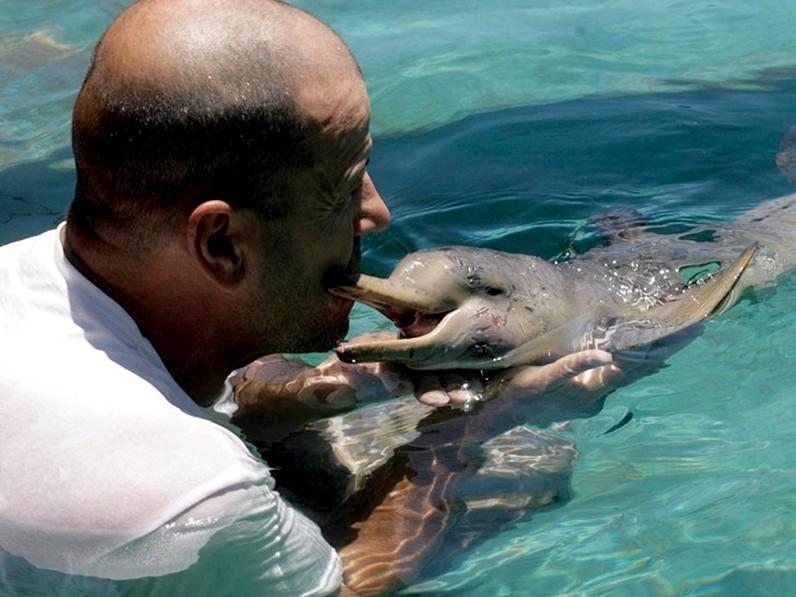 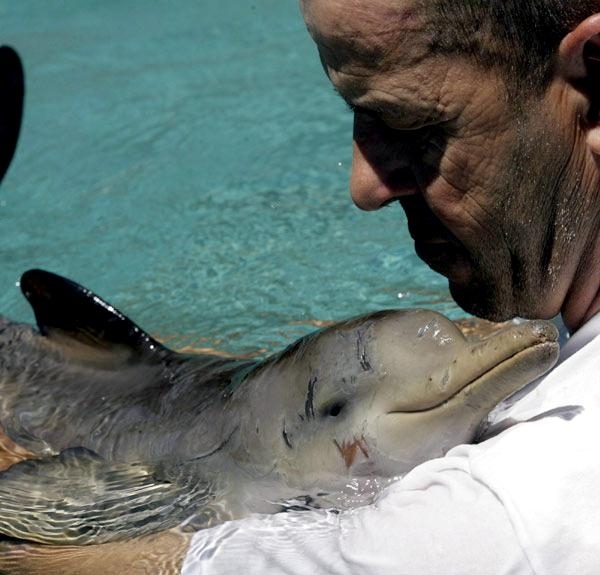 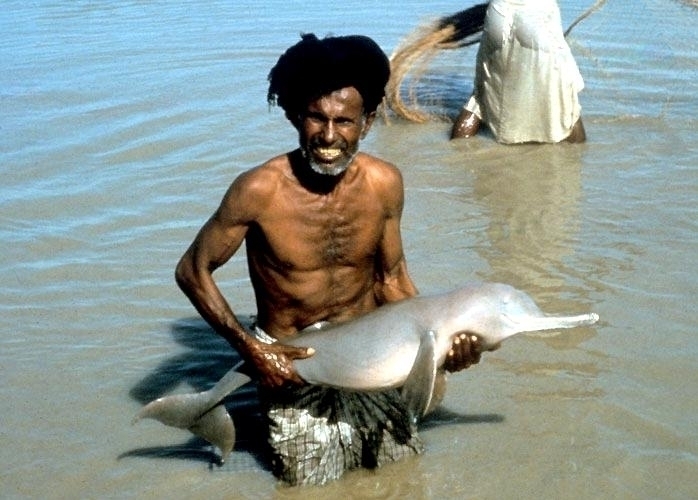 The longevity of the La Plata Dolphin is estimated at 15-20 years. 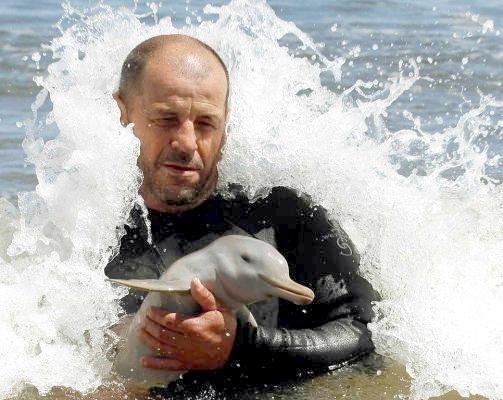 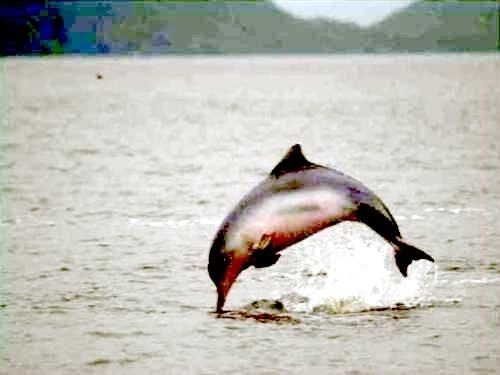 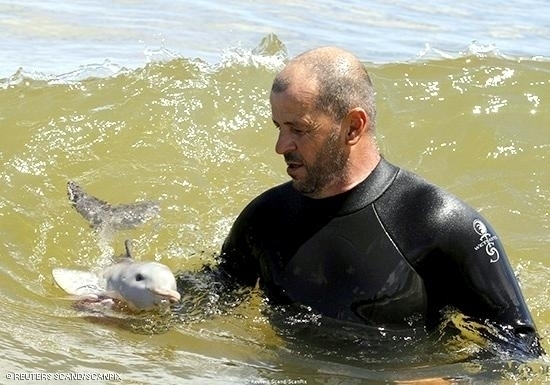 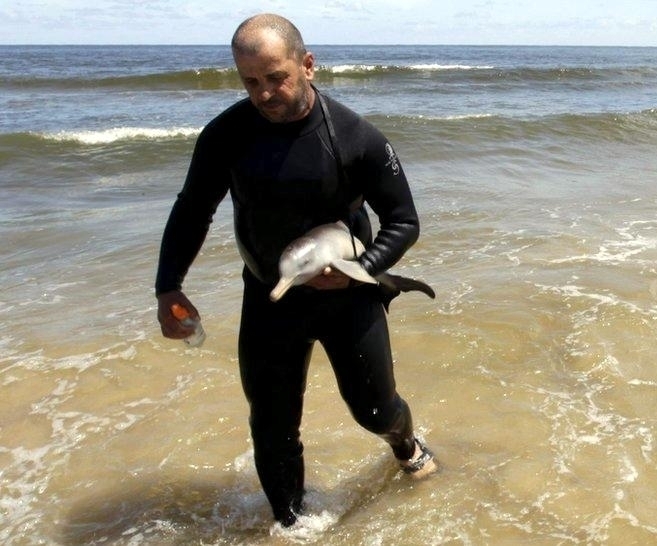 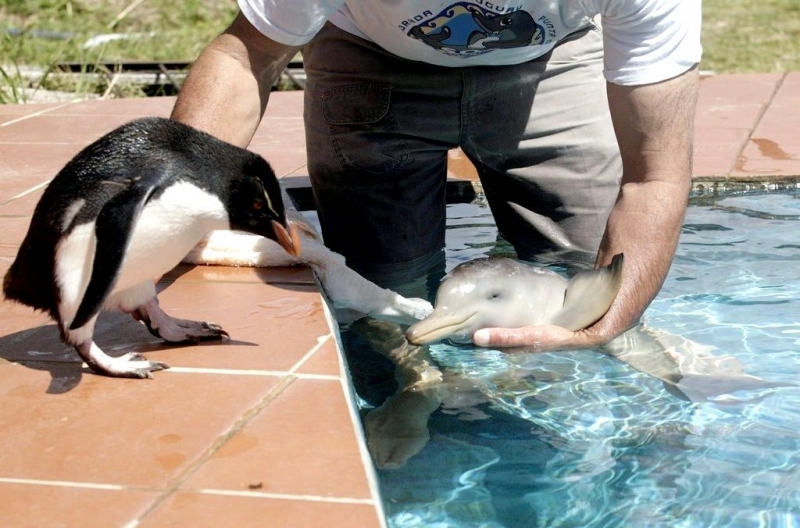 La Plata Dolphins are found in shallow coastal waters of Uruguay, Argentina and Brazil from the Valdes Peninsula in Argentina north to the Rio Grande & Sul River near Rio de Janiero. 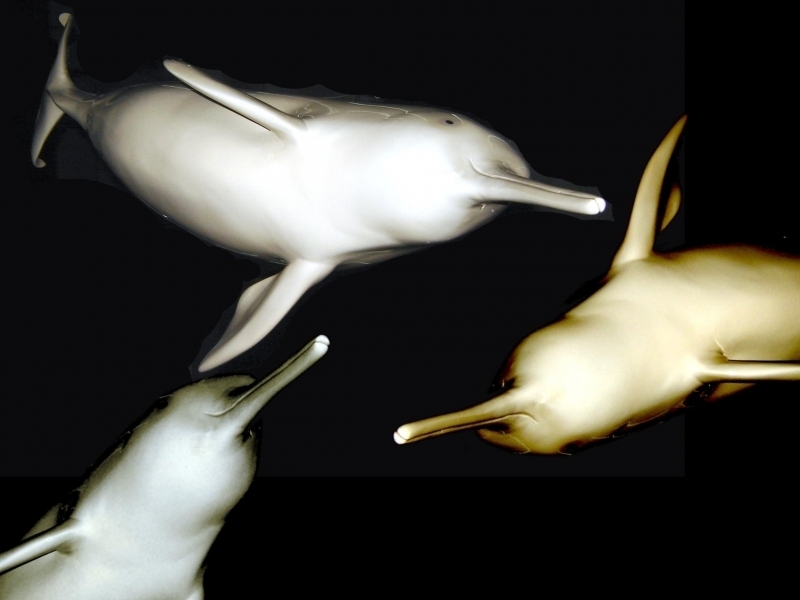 They are not gregarious dolphins, most commonly found alone or in small pods. 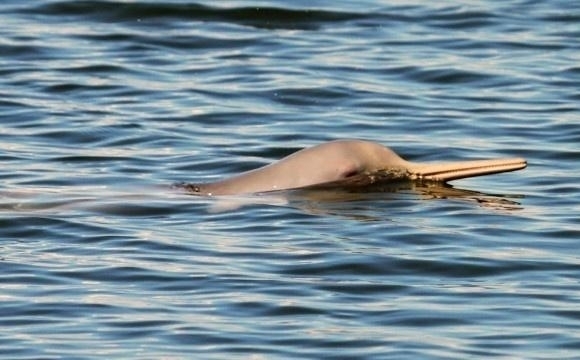 They are difficult to spot, however La Plata Dolphins have been known to approach boats where they are identified by their long beaks and feed mainly on fish & small squid. 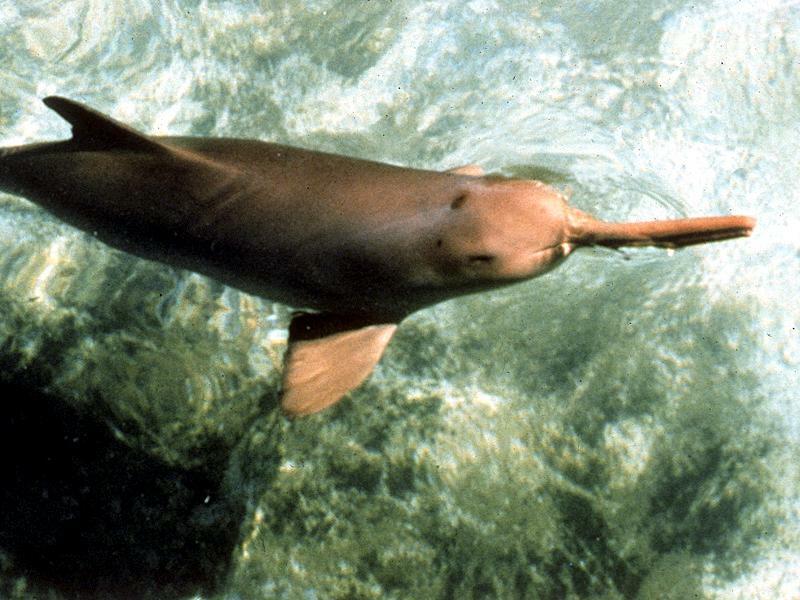 Males reach sexual maturity between 2-3 years of age or when they grow to 1.3 meters, females when they grow to 1.4 meters. 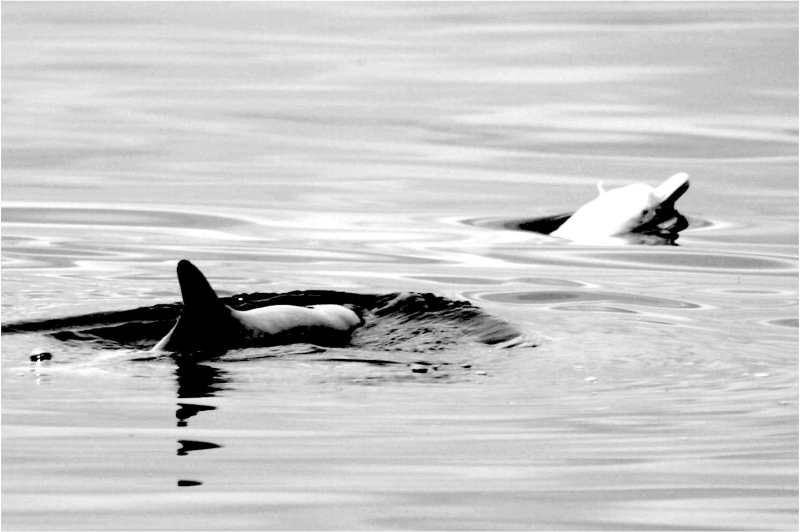 Calves are born between October and January following a 10.5 month gestation period. 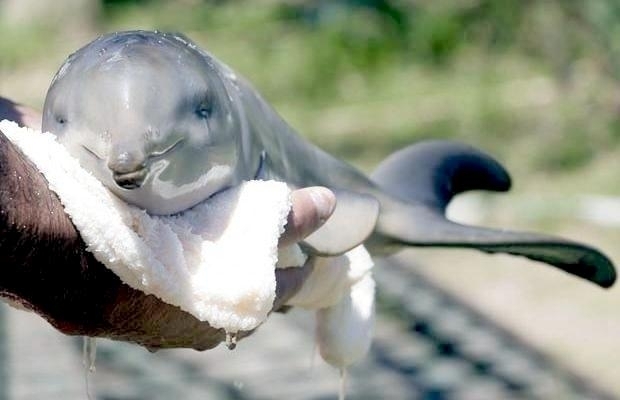 They measure about 70 centimeters long weigh 7-9 kilograms at birth. 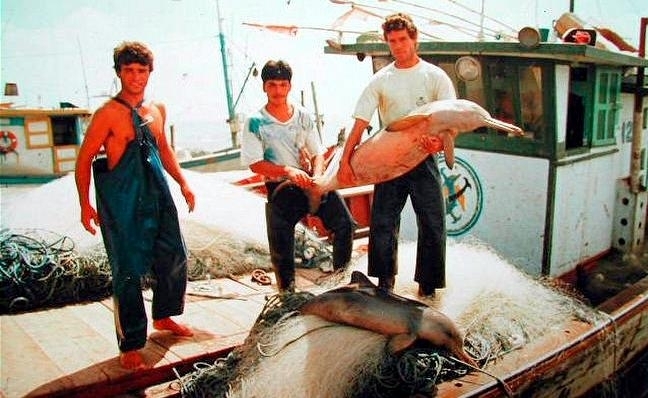 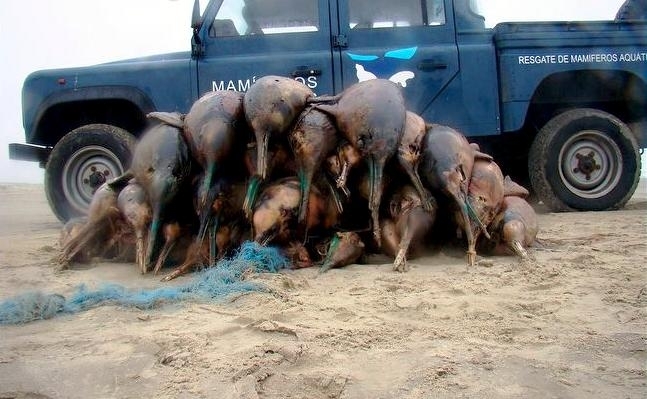 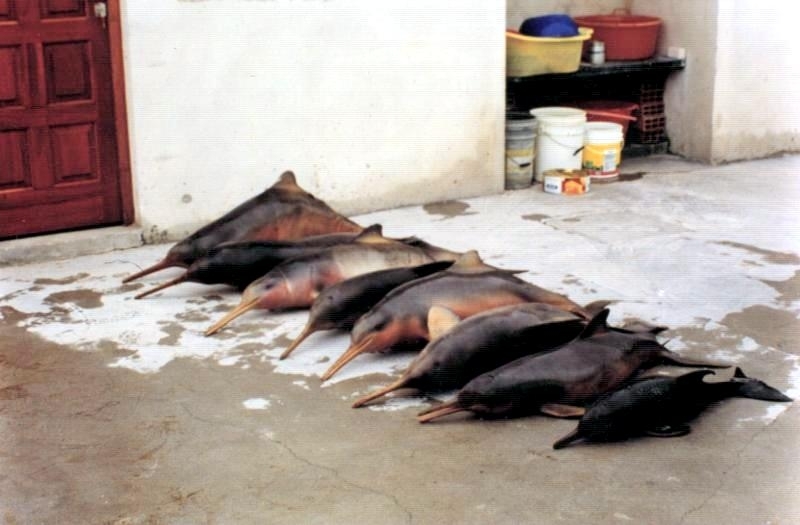 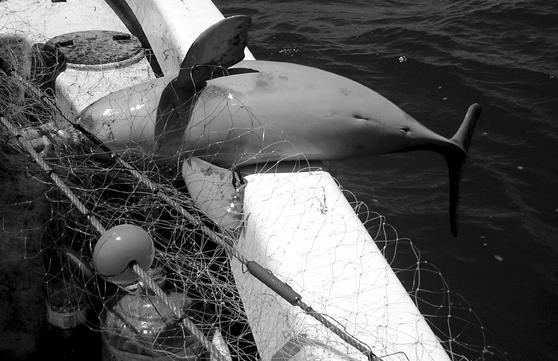 La Plata Dolphins are at-risk of being caught in shark nets and it is estimated that about 1,500 of these dolphins are killed each year. 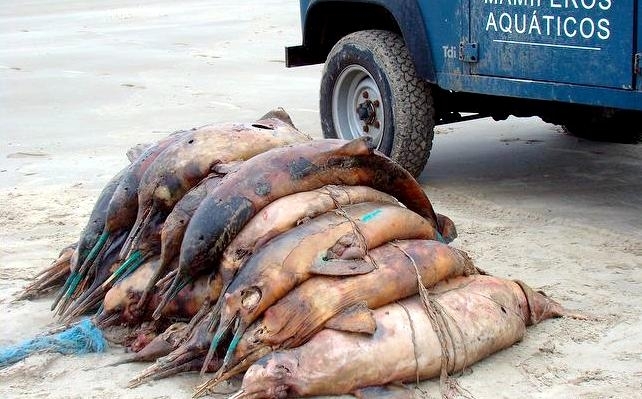 Estimates taken from aerial surveys put the population at about 40,000 off the coasts of Brazil & Uruguay.